1. The first thing you are going to do is find a free background that you will be allowed use. Obviously if you are more skilled at html or design then you could design it yourself but here is what you do if you can’t. 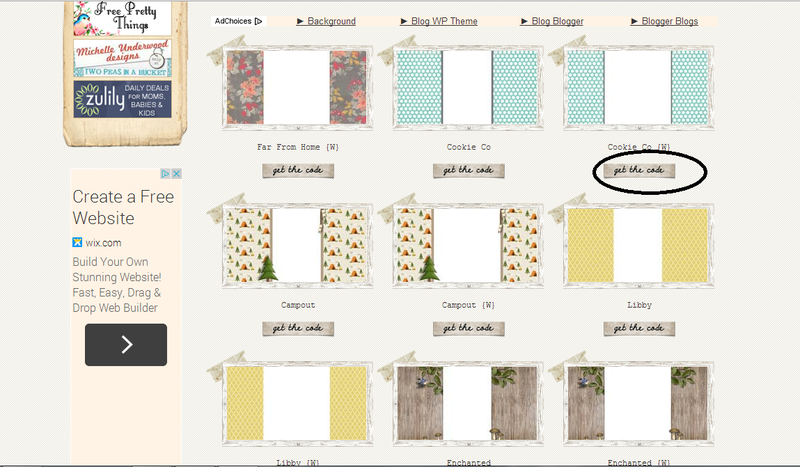 You can Google ” free blog backgrounds for Blogger” or you can go straight to this website that I’d recommend called Shabby Blogs. This is the website where I got my background that I love. Side note, I’m not being sponsored in any way by Shabby Blogs to write this, I just think it is a great website. 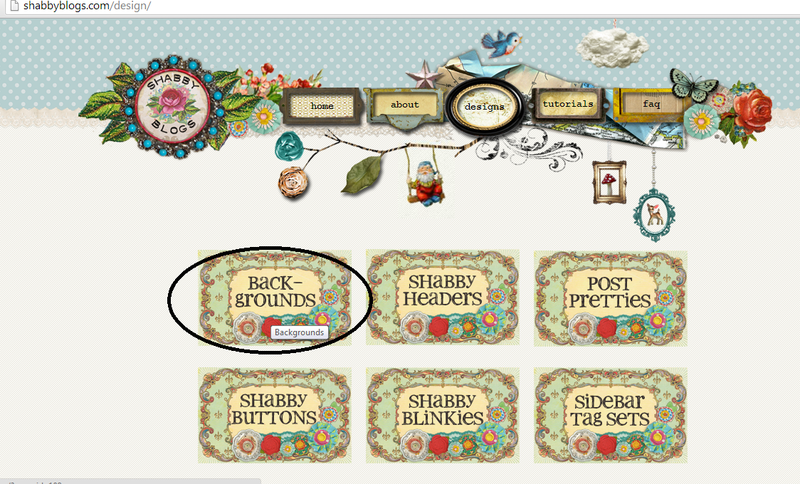 So basically you go into the Shabby Blogs website, click designs and then click backgrounds. 2. 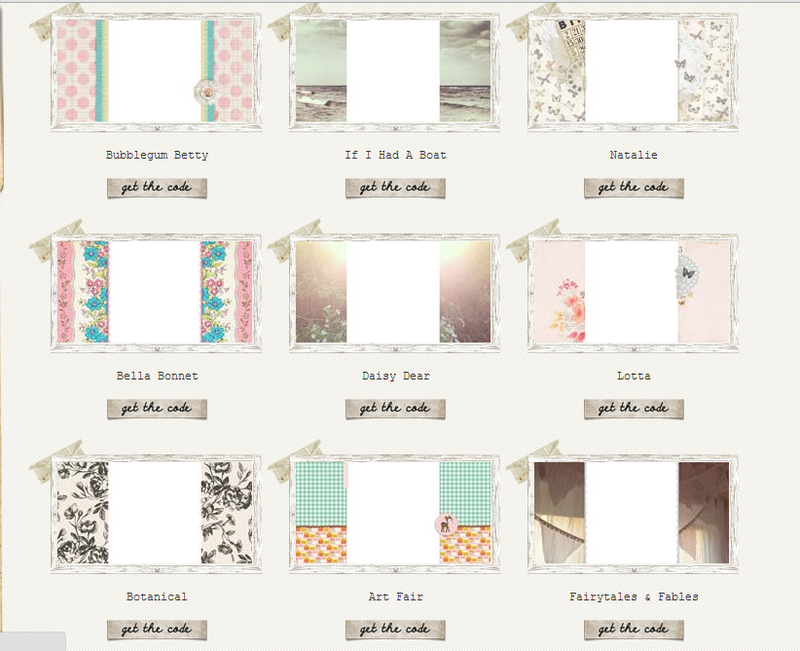 Now you can see all of the free backgrounds that Shabby Blogs have to offer. I’d say that there are hundreds of backgrounds on the site, so you will most likely find something that you like. If you don’t find something that you like, you can keep looking through Google, or you can pay to get a custom blog design from a site like Wonder Forest. 3. Once you have chosen your background, the next step is the same, whether you got it on Shabby Blogs, somewhere else, or if you payed for it. (Although some sites will install your background for you for a small fee). So, with the background you have chosen, you will usually see a html code for it somewhere. 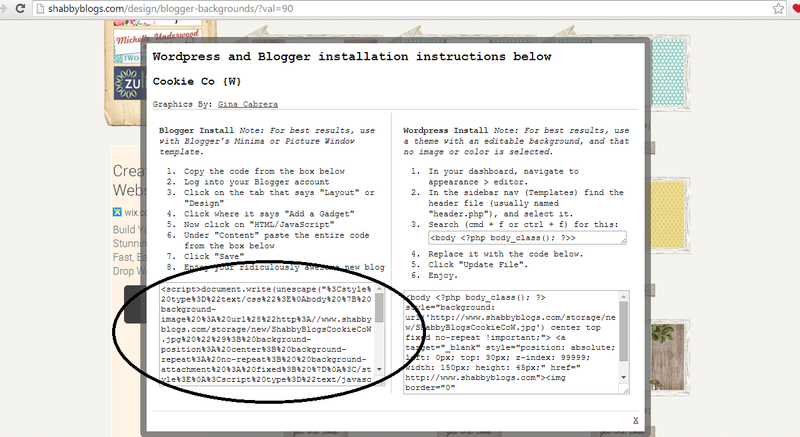 In Shabby Blogs, you click the “get the code” button like in the picture below. 4. Now a website like Shabby Blogs will explain everything from there, but if too many words and technical speak confuse you, don’t worry, because I’m going to show you how to install it step by step with pictures. 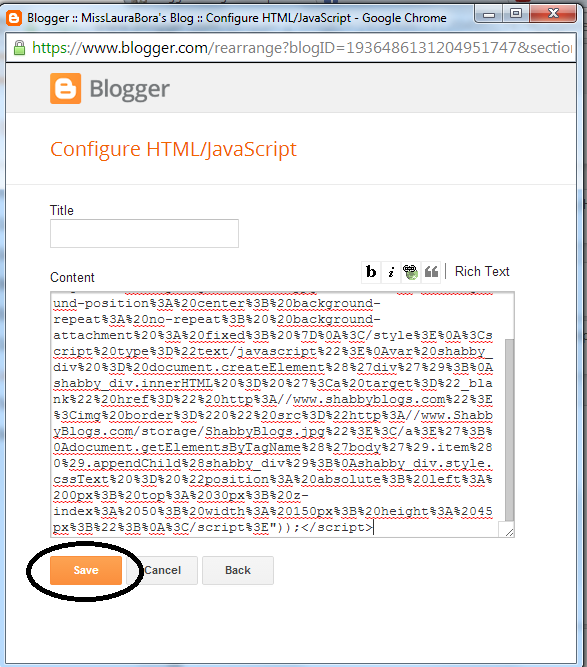 There are different htmls for Blogger or WordPress blogs, but since this is a tutorial on how to install onto blogger, you copy the code that appears under “Blogger Install”. If you found your background on any other website like this then you will also have to copy a code like this. 5. 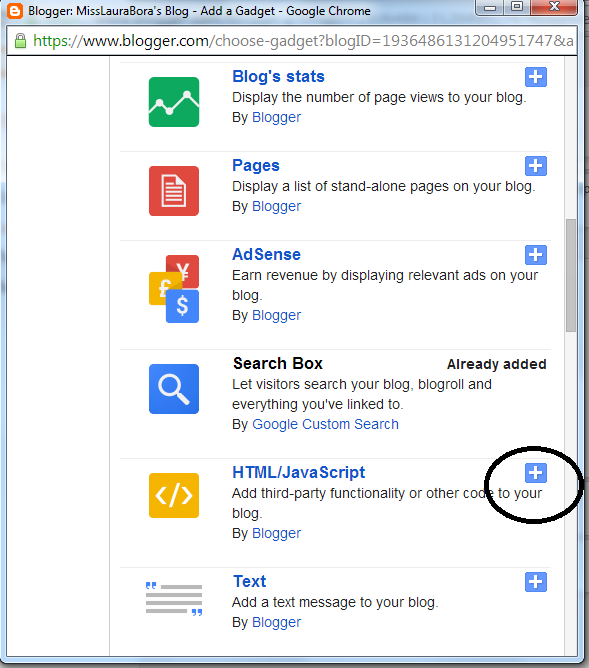 Next you log into your Blogger account and go into the blog that you want to install the background to. 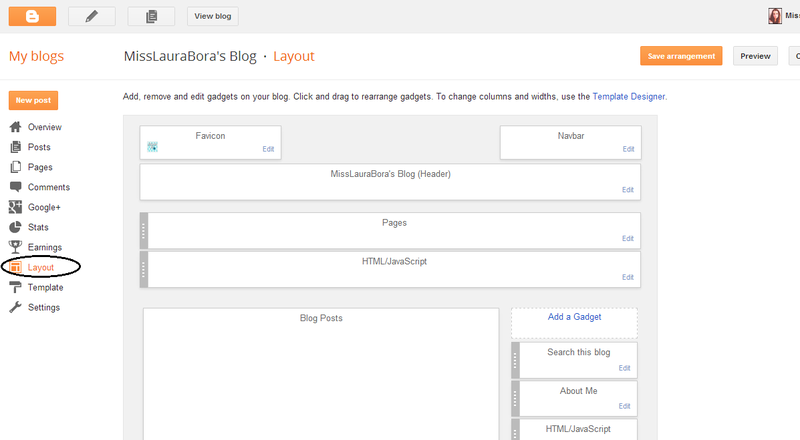 Once, you are in the blog, you click layout on the left hand side of the screen just like in the picture below. 6. Once you are in layout, you then click add a gadget. I hope you liked this post! Give it a like on Bloglovin or a +1 on Google Plus if it helped you out. Also, please let me know in the comments below if you would like me to continue this series and show you different ways of how to improve your blog, and let me know what you want to learn next.